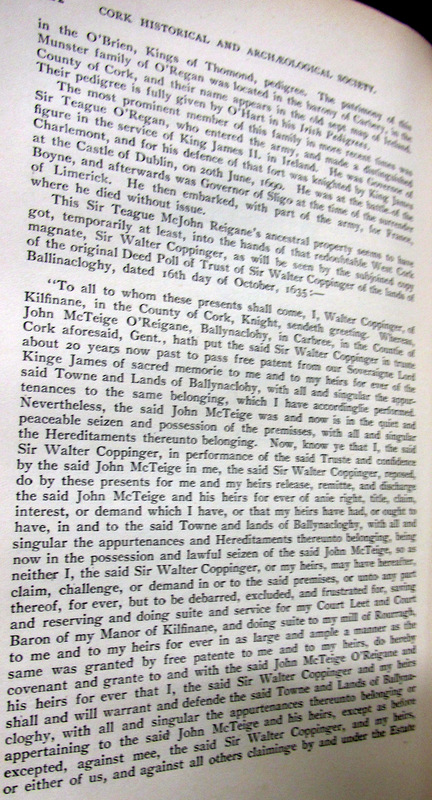 Early Genealogy of Sir Teague O’Regan of Balltnaclohy and Gortniglogh, Killeenlea, near Leap, Carbery West Cork, Temporary holding of lands from 1615 by Sir Walter Coppinger, loss by forfeiture and subsequent restoration under Articles of Treaty of Limerick 1690, later family including fashionable Dr.O’Regan of Mallow and Legal Luminaries, friend of Daniel O’Connell. Estates finally sold by descendants Cagney family early 20th century to tenants. 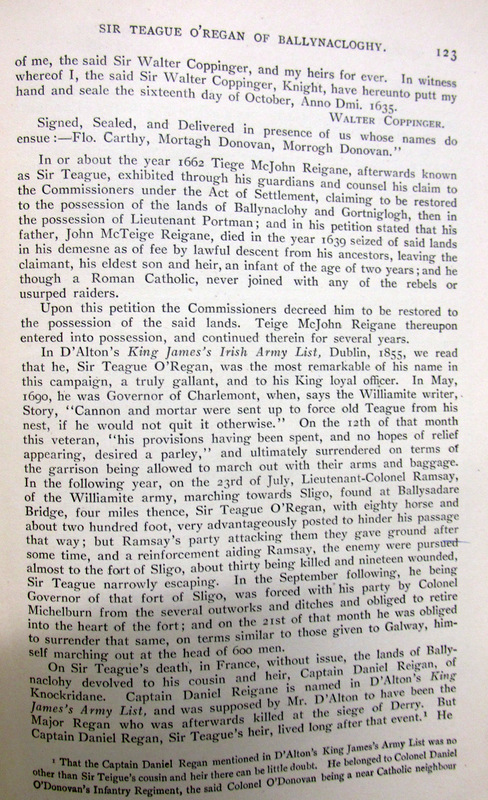 Early Genealogy of Sir Teague O’Regan of Balltnaclohy and Gortniglogh, Killeenlea, near Leap, Carbery West Cork, Temporary holding of lands from 1615 by Sir Walter Coppinger, loss by forfeiture and subsequent restoration under Articles of Treaty of Limerick 1690, later family including fashionable Dr. O’Regan of Mallow and Legal Luminaries, friend of Daniel O’Connell. Estates finally sold by descendants Cork Cagney family early 20th century to tenants. Some of the extended later family prominent in law or as Harley Street, London specialists. Michael Cagney, 1857, Tivoli, sworn in by John Besnard JP. Police Court, Paradise Place, Cork, 1857. 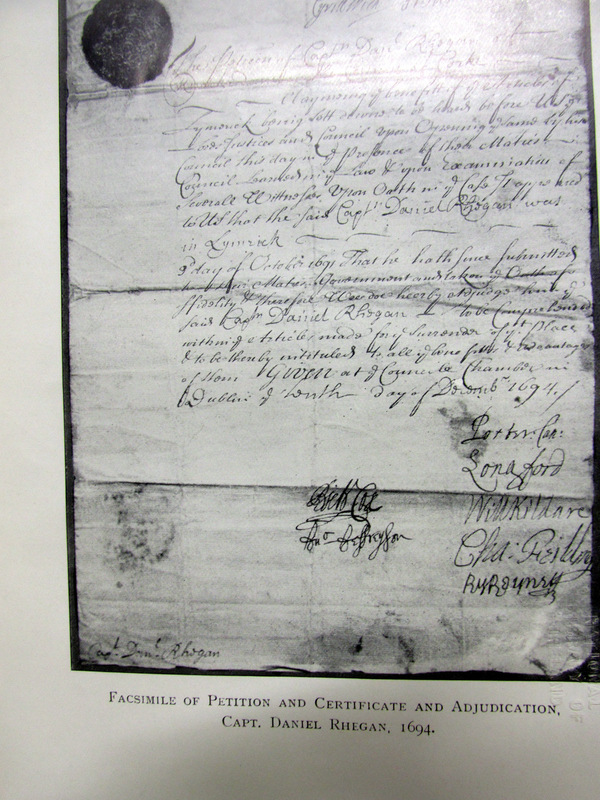 Family of Huguenot descent ran major sail making factory in Douglas. 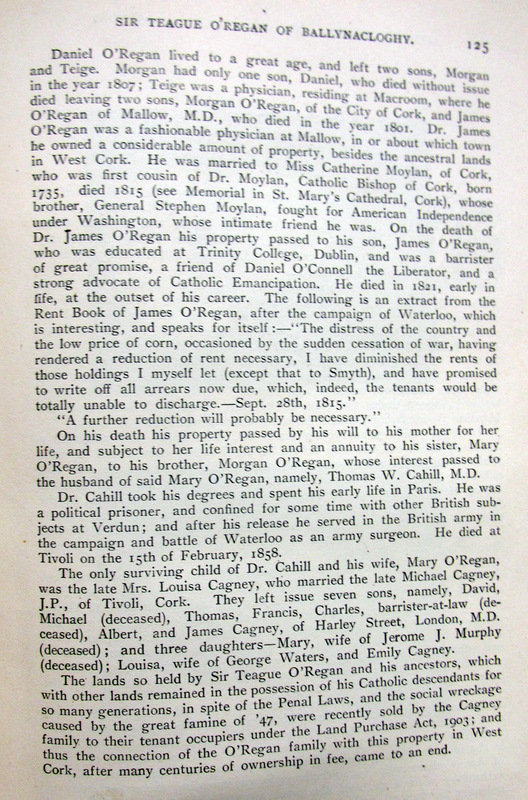 Wife Mary O’Regan she a descendant of Sit Teague O’Regan whose lands at Leap were restored under the Treaty of Limerick, 7 sons. The Clonakilty lands were sold to the tenants under the Land Purchase Act 1903. 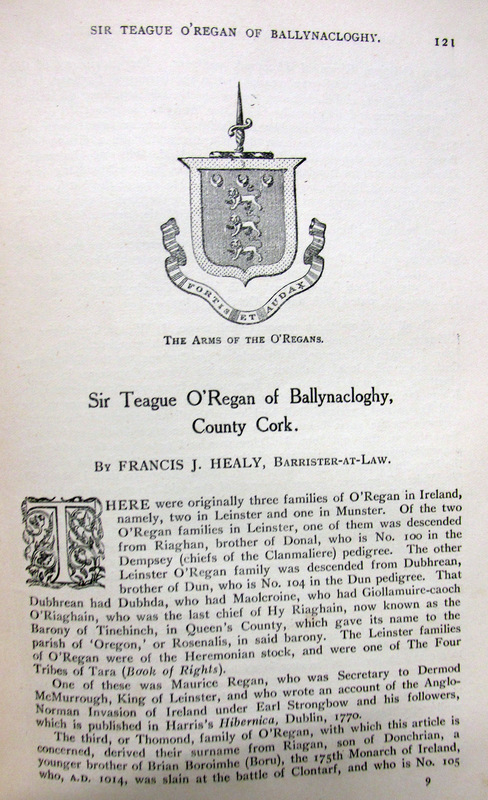 Presumably one of the family Daniel O’Regan, Esq., is shown as Landowner in Sir John Freke’s (Carbery) Estate Map of 1788.